Ice cream sauce doesn’t get much better than this! 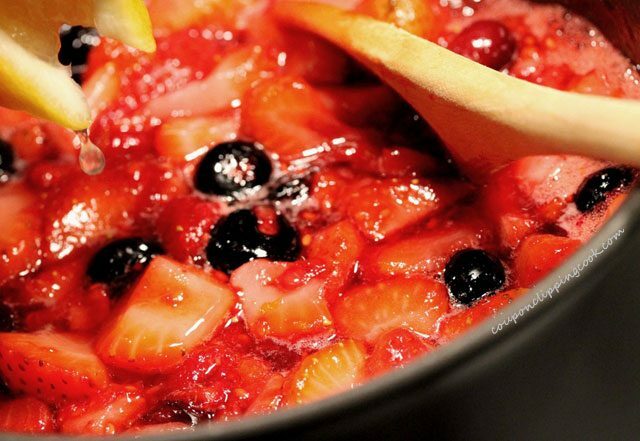 The berries, touch of wine, and orange zest blend perfectly together to make the most amazing sauce to put over vanilla ice cream. 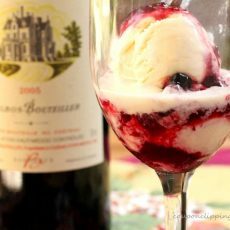 For even more delicious flavor, try drizzling a bit of chocolate sauce over the vanilla ice cream first….then add the berry wine sauce. This sauce is simple to make, unique and the thick consistency pairs perfectly with vanilla ice cream. It’s served warm over the ice cream so you can only imagine the ultimate sauciness going on along with melted ice cream. This can be made ahead of time and warmed up just before serving. Rinse the berries and remove the stems and leaves. Cut the strawberries into quarters. 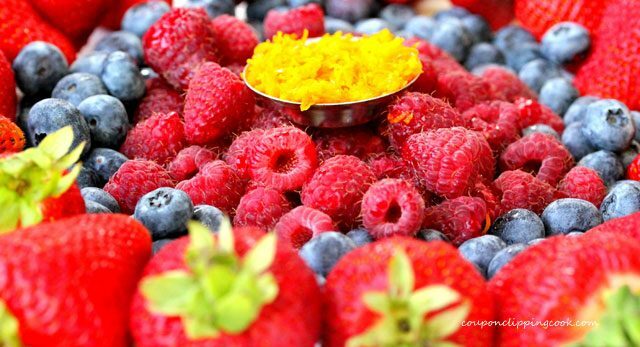 To a medium size bowl, add the berries and set aside for a moment. 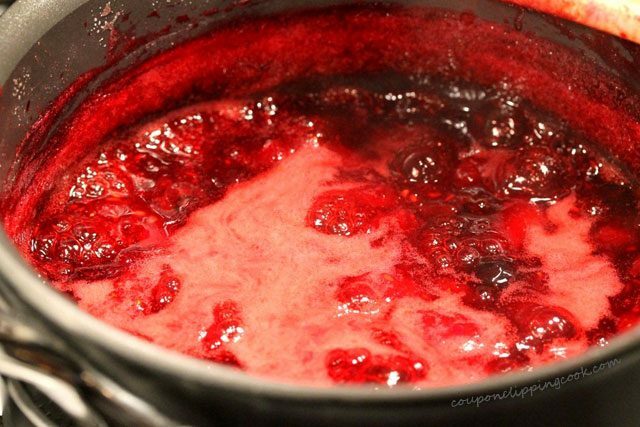 In a medium size saucepan, add the sugar and water. Heat the saucepan on low to medium heat and stir. 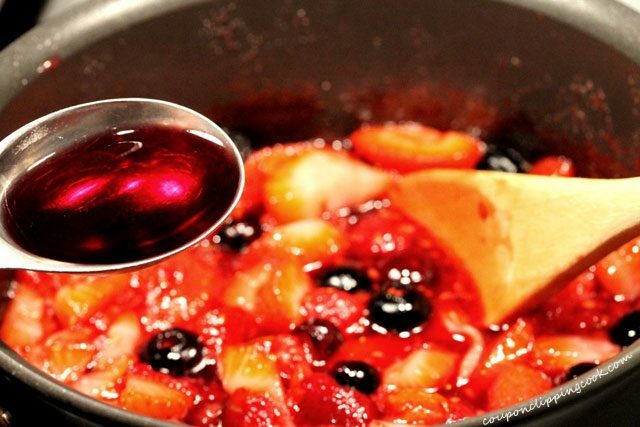 To the saucepan, add the berries and stir. 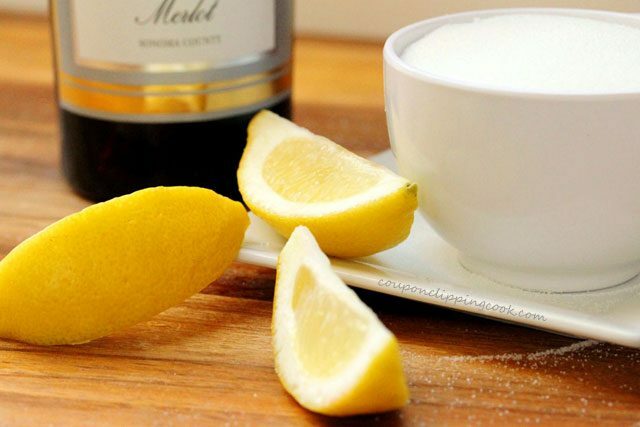 Next add the lemon juice and wine. Stir. To the pan, add the orange zest and stir. Continue stirring as the sauce thickens. It takes about 10 minutes for the sauce to thicken. If making the sauce ahead of time, let cool for 1 hour and put the sauce in a container with a lid (a mason jar works well) and keep it in the refrigerator no longer than 3 to 4 days. 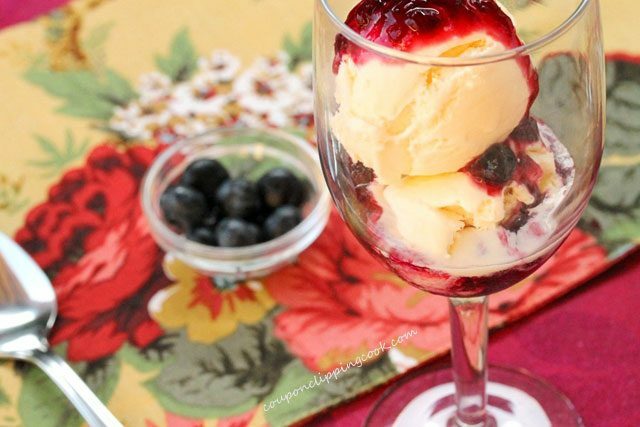 Serve the berry wine sauce warm, over vanilla ice cream. 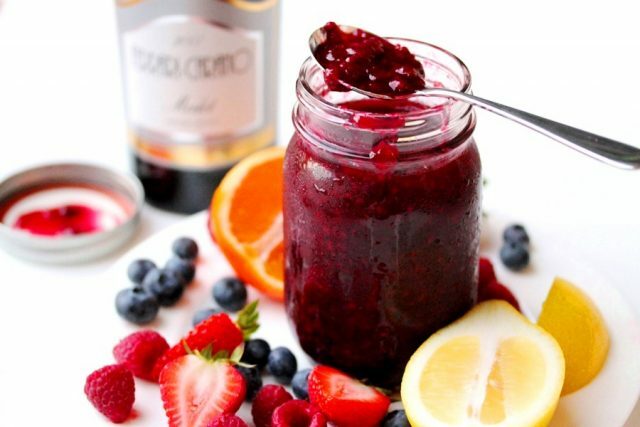 Try adding some chocolate sauce over the vanilla ice cream before adding the berry wine sauce. so good. Ice cream sauce doesn't get much better than this! 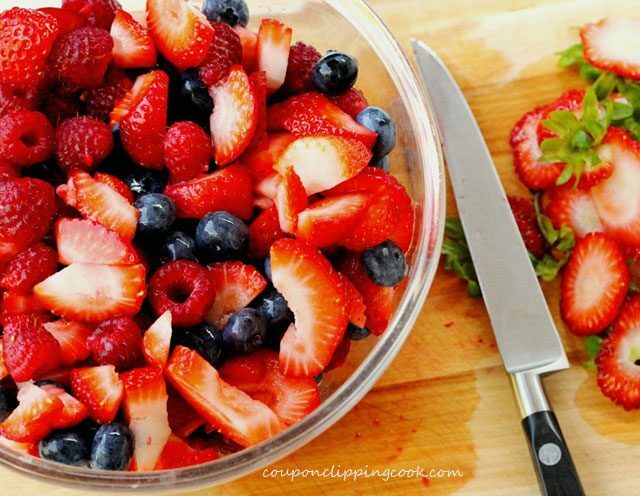 In a medium size bowl, add the strawberries, blueberries and raspberries. Set aside for a moment. To a medium size saucepan, add sugar and water. Heat the saucepan on low to medium heat and stir. 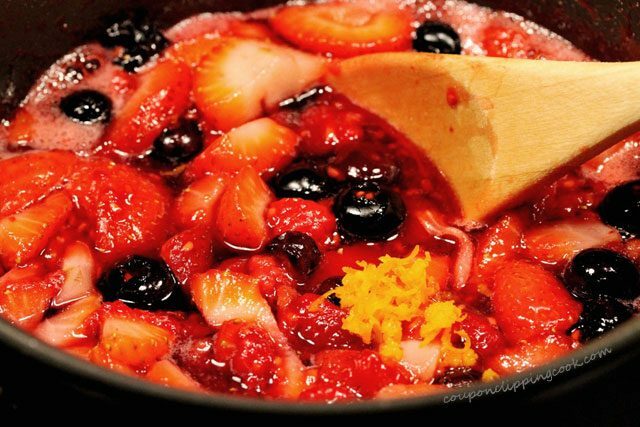 To the saucepan add the berries and stir. Then add the lemon juice, wine, and zest. Stir together. 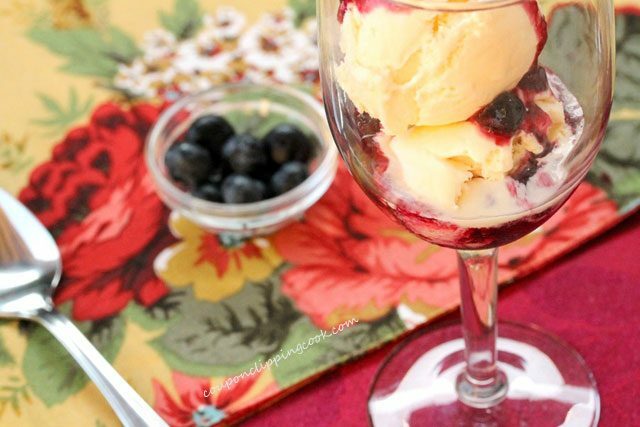 Serve the berry wine sauce warm over ice cream. 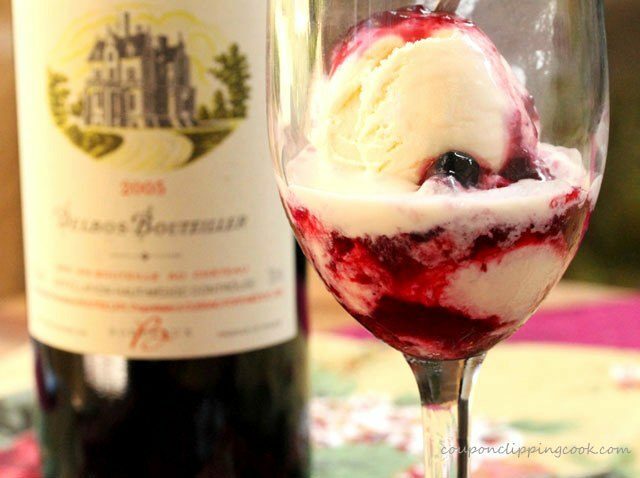 Try adding some chocolate sauce over the vanilla ice cream before adding the berry wine sauce. hello – what kind of wine do you preferrably use? Thanks! Hi Jillian, I like to use Pinot Noir or Cabernet Sauvignon. Thank you for stopping by! 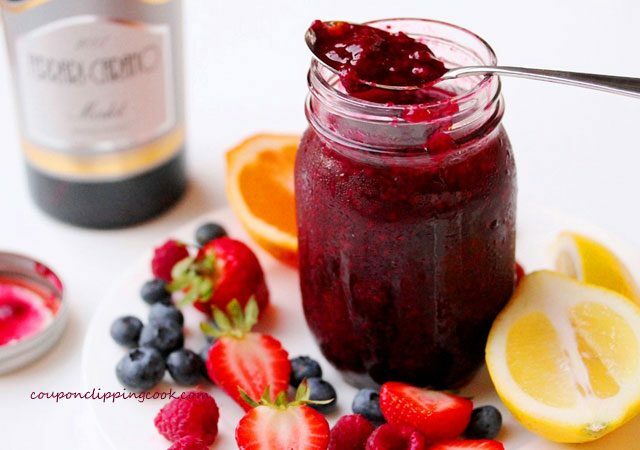 Wow, what an incredibly yummy and indulgent looking berry sauce! 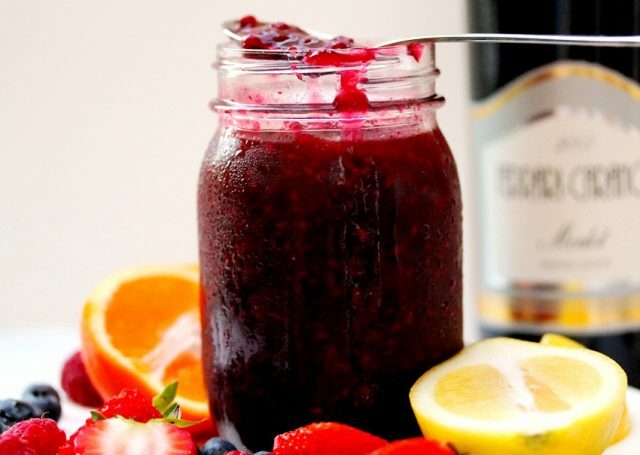 I love the combination of the berries with wine… great idea, and thanks for sharing! You have a beautiful blog and I’m so glad to have found it. Thank you very much Georgia. Nice to meet you! 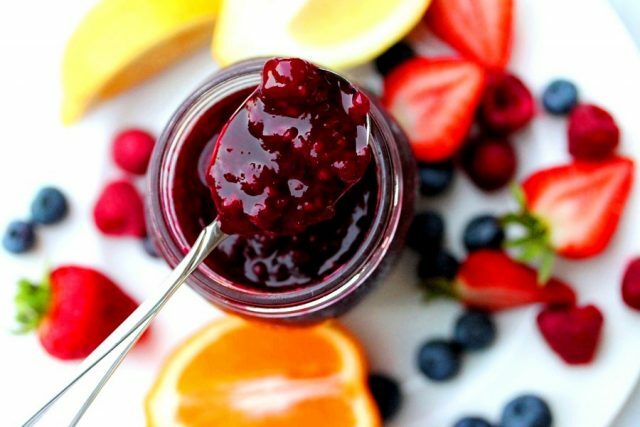 Nice to finally see a fruit sauce recipe-there are quite a bit of chocolate, peanut butter and caramel out there. This is a good change of pace! Just the idea of having this over ice cream sounds amazing. Thanks for sharing.